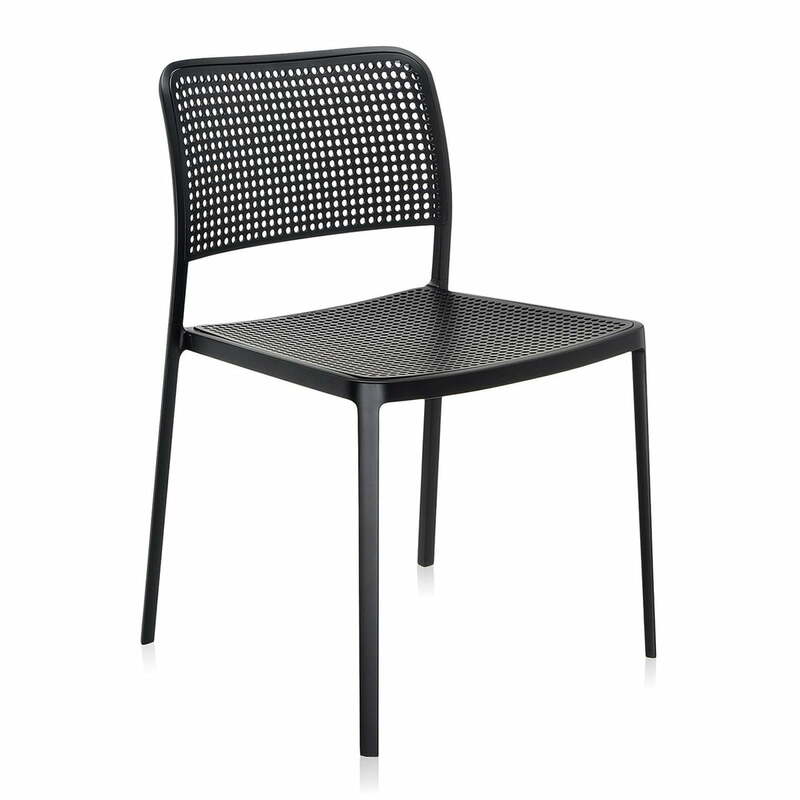 Audrey is a versatile chair by Kartell, which has been designed by Piero Lissoni. 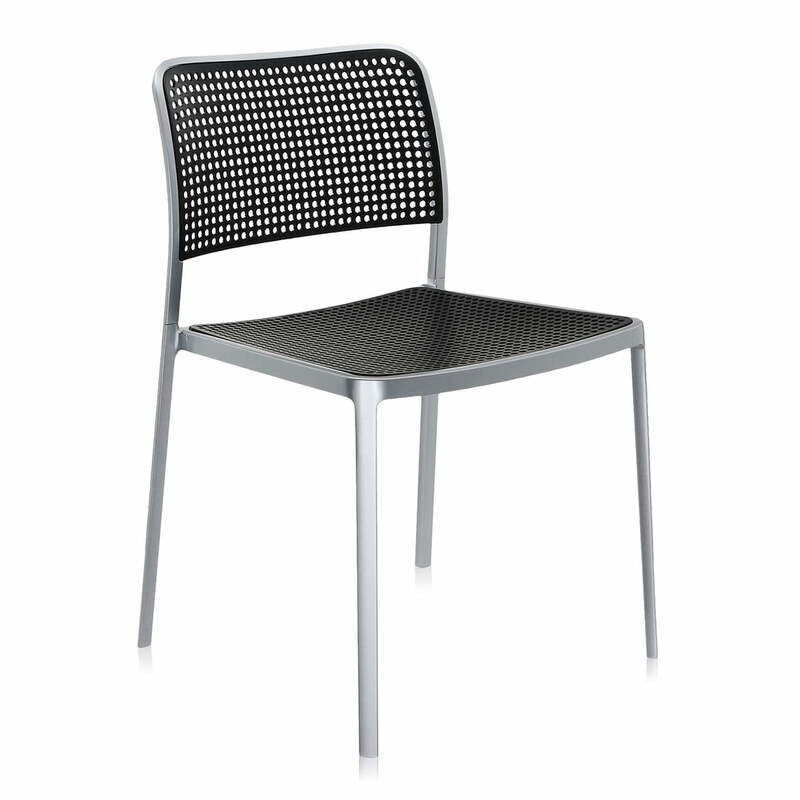 The combination of aluminium and plastic especially characterize the chair and it makes the chair rich of facets and apparently exciting. Eclecticism and versatility, modernity and elegance in the details of the surfaces and materials make the Audrey chair innovative for rooms of all kinds. 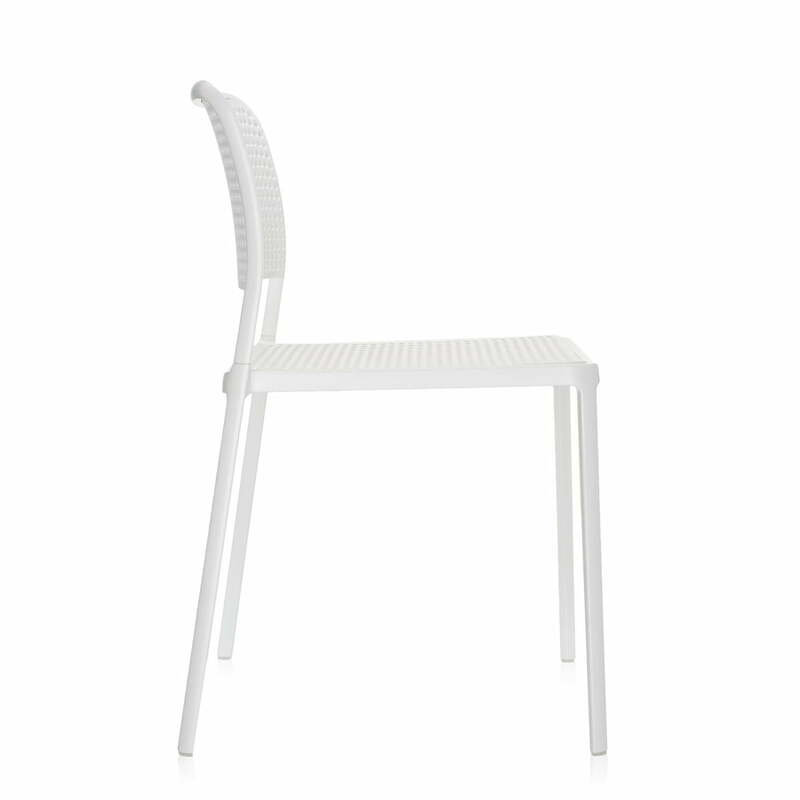 The simple, pure lines of Kartell’s Audrey ensure that it feels homely in the most different furnishings. In the office, at home, in object areas and even outside it looks great. 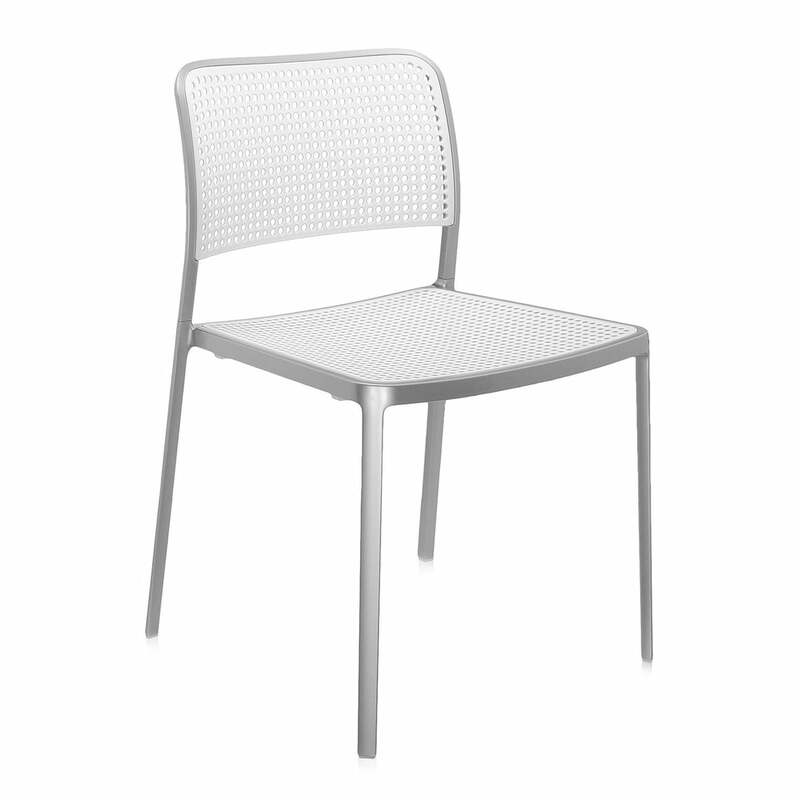 Kartell produces the Audrey chair with a frame of aluminium, the seat is made of polypropylene. 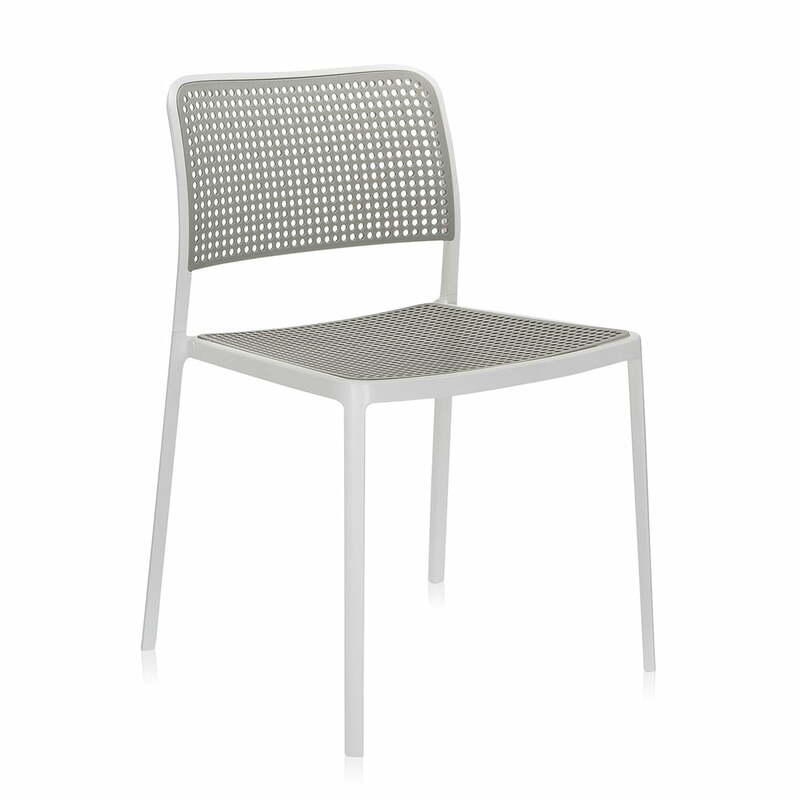 The outdoor-adapted Audrey is also available with frames and covers in other colours. An edition with armrests is also available. 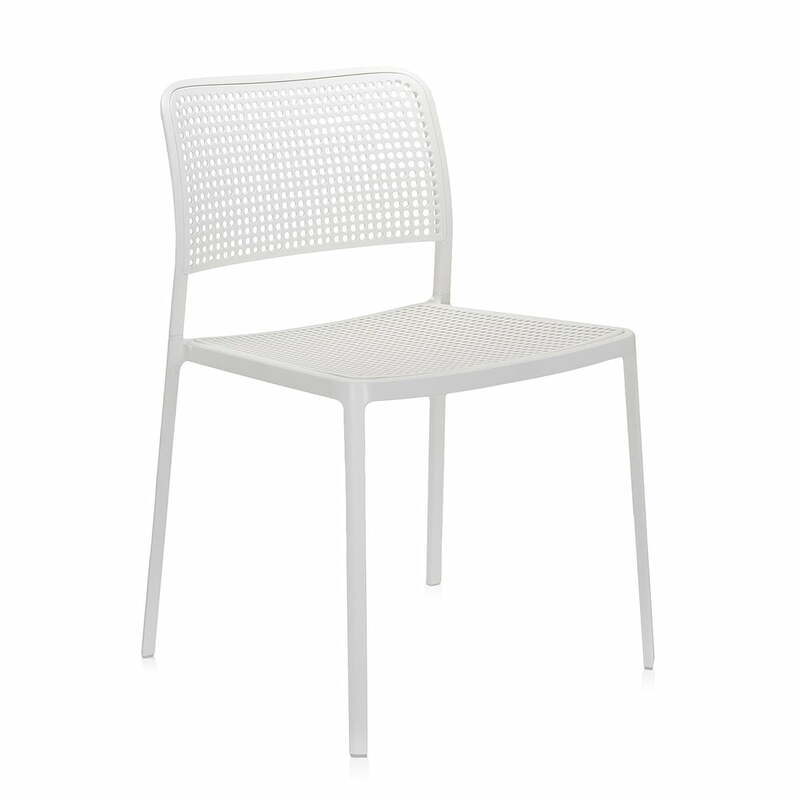 The chair by Kartell is also available upholstered: Audrey Soft.